As a future Minnesota accounting student, you can choose from a range of over 70 institutions offering undergraduate and graduate degrees. One of them is the prestigious University of Minnesota – Twin Cities, whose Carlson School of Management is rated as 33rd best in the country by US News. 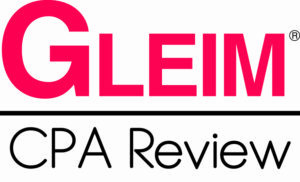 The same university took the 11th place in the Public Accounting Report’s 2013 survey of accounting professors in the small institution category at the undergraduate level. Moreover, Businessweek’s 2013 ranking of business undergraduate programs listed the University of Minnesota as the 39th and the University of St. Thomas as the 80th best in the country. Accountants are highly qualified professionals who need to balance analytic and quantitative skills with leadership and decision-making. It is thus no wonder that the path to becoming an accountant is challenging – and the first challenge is choosing the right accounting school to attend. This is a decision that can influence your whole career, so be sure to inform yourself thoroughly. Your accounting program needs to be accredited in order to allow you to become a Certified Public Accountant (CPA); it needs to be rigorous so that you graduate confident in your skills; and it needs to provide you with the right business contacts to jump-start your career. This is why you should ask to see as much information as possible before you make your decision: students’ evaluations, CPA exam pass rates, national rankings and graduate employment rates can all offer clues as to the effectiveness of an academic program. Moreover, don’t settle for what is written on the university website. Read between the lines and look for reputable faculty members, for a thorough curriculum and tough assessment. Try to gauge the amount of hands-on experience you will be able to acquire through on-campus organizations, internships and volunteering. Look out for well-known recruiters that target graduates of that specific program. And finally, remember to shoot for the best: you will need a broad knowledge base as well as an important amount of experience in order to land the job of your dreams, and it is never too early to start. Although becoming an accountant is a challenge, the benefits range from almost guaranteed employment to opportunities for leadership and high pay levels. With excellent skills in finances, economics and business, good accountants are rare – and indispensable. If you have an inclination for numbers, you might find that the positives outweigh the negatives in this profession. First of all you will need to complete at least a four-year degree in a relevant subject and you will also have to decide whether you wish to apply for a CPA license. Holding a license can open many doors in public accounting, especially when it comes to highly compensated positions. If you do decide to become certified, you will need to complete 150 credits of college education and you will have to pass all four sections of the CPA exam. Moreover, you will have to acquire one or two years of accounting experience before you can apply for the CPA license. Depending on your state’s legislation, you may also need to pass an ethics examination and you might have to take continuing professional education courses throughout your career in order to renew your license. All this may sound challenging, but remember that all the difficulties you face will work to your advantage later on. 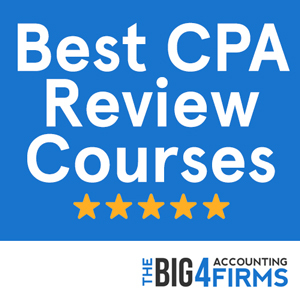 Minnesota candidates for a CPA license need to hold a baccalaureate or higher degree with an accounting concentration including at least 24 semester hours of accounting and 24 hours of business courses. While you can sit for the CPA exam without meeting the 150-credit requirement, you will need to complete 150 credits of college education within 120 days of taking the first exam section if you wish to apply for a CPA license. Moreover, you will be required to hold at least one year of accounting experience before you can become a CPA. In order to apply for a license in Minnesota, you need to be a resident or employed in the state and you have to be over 18. With an average accounting salary of $66,900 in 2013, Minnesota ranks above the national average of approximately $65,000. While the employment level in this field is average, there are plenty of opportunities for skilled accounting graduates, especially in metropolitan areas. The average salary rises to $72,930 in the Duluth area and 10% of the accountants employed here earn as much as $93,060 on average. Accounting offers many possibilities for employment and as such there can be great variation in pay. For example, the US Internal Revenue Service tends to compensate accountants at a much higher level than corporations, but the latter tend to employ more accountants. Pay level can also increase significantly with experience and with additional skills such as tax consulting, tax compliance and financial analysis. Ranked as the 100th best business school in the country by US News, the Opus College of Business at the University of St. Thomas offers a well-regarded accounting program. Students can pursue an Accounting major and a Master of Science in Accountancy, as well as a Master of Business Administration with a specialization in Accounting. In order to be eligible for CPA licensure, candidates may complete 150 credits at an undergraduate level or by achieving a graduate degree. The school prides itself on a curriculum that prepares students for the CPA exam, as well as for success in their careers. The Master of Science in Accountancy is the only private AACBS-accredited program of its kind in Minnesota and is especially effective through its coverage of ethics, an important topic on the CPA exam. The Opus College program also focuses on practical skills, with 100% of graduate students acquiring experience in paid internships. According to Businessweek, 78% of the school’s graduates find a job within three months after graduation and the average starting salary in accounting is approximately $56,000. The University of St. Thomas offers an excellent blend of CPA-oriented teaching and real-world experience able to prepare students for success in this demanding profession. The Carlson School of Management at the University of Minnesota offers the highest ranked accounting program in the state, including an undergraduate degree in accounting and a Master of Accountancy. This prestigious school combines top quality coursework with real-world experience and connects students to the thriving business community of the Twin Cities and beyond. The Master of Accountancy at Carlson School is AACBS-accredited and allows students to complete the 150 credits required to be granted a CPA license in Minnesota. Moreover, the Master’s degree can help students with different backgrounds to prepare for the CPA exam. In addition to courses in accounting, taxation, finance, marketing, management and information systems, the program offers a tax track with elective tax courses from the Master of Business Taxation program. Apart from its dynamic and flexible curriculum, Carlson School also values hands-on experience. Through internships, on-campus student organizations and networking opportunities, students find themselves in the heart of the Twin Cities business world. With 93% of graduates finding employment within 3 months after graduation and the “Big Four” among the regular recruiters, the University of Minnesota has all it takes to lead you to success in your career.